me and him: Oh hey 2012! Let's try to get along, ok? Oh hey 2012! Let's try to get along, ok? Wait. So you're saying Christmas is over? Like for reals?? What the ...... ?!??! After a whirl-wind-family-filled Christmas vaca to Idaho and rushing back to CA to shoot a day-before-New-Year's-eve wedding in San Diego, Jas and I decided to kick it real casual on Dec 31st. We had ourselves a movie marathon in our coziest sweats and I wore my best Navajo sweatshirt (if you've been near me in the past few months I'm sure the two of you have met). It was perfect. Jas fell asleep during our first feature and I pronounced his movie marathon abilities as royally sucktastic. He had better luck during the second movie (due in part to the giant metal bowl of buttery air-popped popcorn in his lap). And we finished off our bottle of Martinelli's as the ball dropped and danced to C Lo Green and Blake Shelton in front of our tv. Yesterday was January 1, 2012. 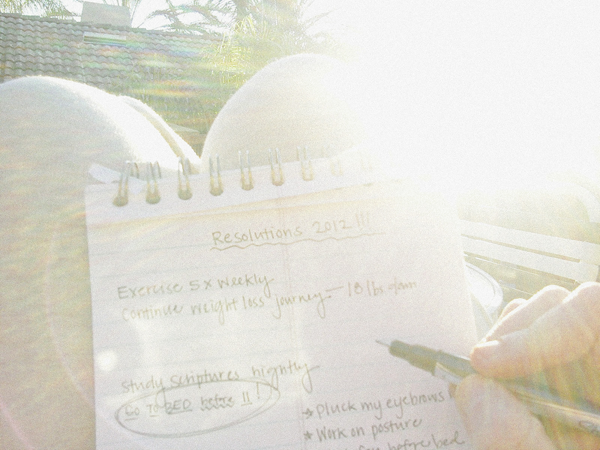 The day for writing new resolutions for the new year. I started writing all sorts of fantastic and fresh resolves like such as: exercising and going to bed earlier and losing weight and plucking my eyebrows more regularly (oh, it's on there). 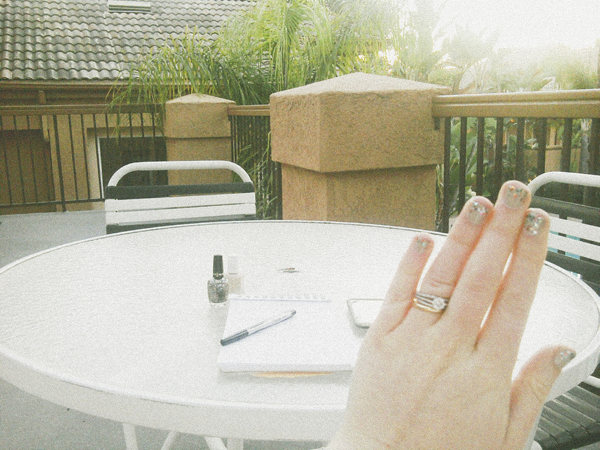 But then, before I knew it, I was painting sparkly confetti fingernails instead. I have always had outstanding follow-through. bahahah. incredible. love your word choice in all this. happy new year! This sounds marvelous. and those nails? Love it. Sweetness. I LOVE painting my nails too! I like the title of your post. I hope 2012 gets along with everybody. I love this post too. Realistic goals, such as eye brow plucking are great! I saw that Navajo sweath shirt.....no likey. J/K comfy is comfy. oh ya, and I love that picture of the Martinelli/garland. Can I use any or all of this post for the bazaar blog? Haaaaaaaa we must be related...I too am the sit-down-to-set-goals-end-up-painting-my-toenails-type! But I'm glad you got your New Year's Resolutions set anyway...they look like good goals. I'm going to copy your eyebrow plucking goal. I need help in that area too! It was fun to see you for a sec over Christmas. I wish you could have stayed until New Years for your mom's fun game night. Oh well, maybe next year! 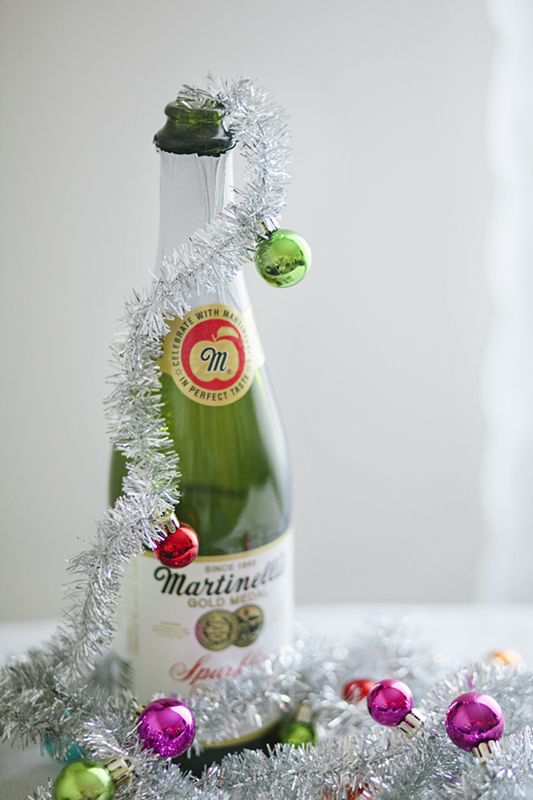 Here's to a fantastic 2012! just spent 20 mins on your photo blog. gosh you're good. i can't wait to meet you. too bad i gained a couple lbs over the holidays...man getting old and that metabo shuts down is a real sad thing. haha soon..? !